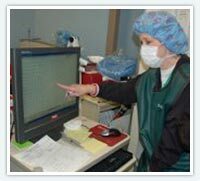 Patients being considered for epilepsy surgery often benefit from the added information of a Wada test. 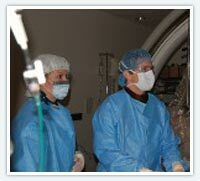 This test is performed routinely in the neurointerventional radiology suite at Saint Luke's in Kansas City. The test consists EEG monitoring, a diagnostic brain angiogram and administration of a short acting tranquilizer to each side of the brain. Prior to beginning the angiogram portion of the procedure, EEG electrodes are applied. Once in the angiogram suite a catheter is passed to an internal carotid artery. 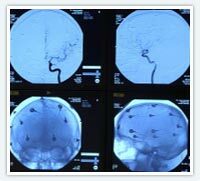 While the catheter is in this blood vessel, the drug Amytal (amobarbital) is injected, effectively putting one side of the brain to sleep. 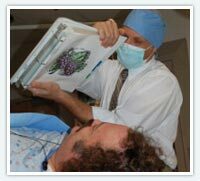 During the 5 minutes while the tranquilizer is active, the patient is tested by a neuropsychologist who determines the contribution the “sleeping” side of the brain makes to language and memory. Following this, the catheter is redirected to the other internal carotid artery and the other side of the brain is similarly tested. 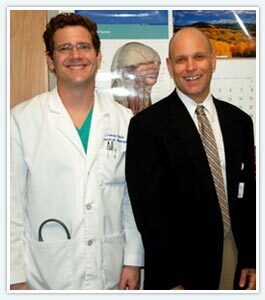 Thus, with the assistance of the neuropsychologist and neurointerventional specialist, it is possible for a neurosurgeon to determine possible language and memory consequences of removing a portion of the brain prior to surgery.